Shane O'Donnell showed all three when he scored a wonder goal to drag The Banner back into contention in today's All Ireland Hurling semi-final replay — but it wouldn't be enough in the end. 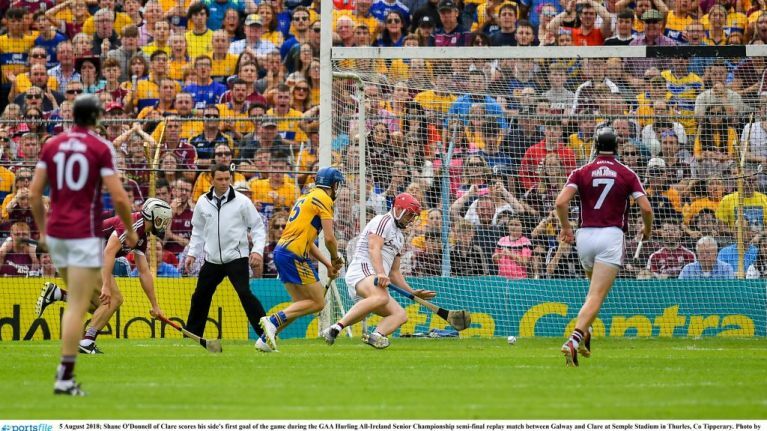 In another smashing game of hurling, Clare fell well behind in the early stages — Galway dominating the early exchanges. A goal on the 21st minute by Johnny McGlynn looked to have settled the matter. The balance then seemed to tip in Clare's favour as Peter Duggan burst through Galway lines to smash the sliotar into the back of the net. It was tense from that moment onward. A historic save from Galway keeper Skehill fell to Clare forward Aron Shanagher who somehow hit the post from about three yards out. It was a decisive moment, and a minute later Joe Canning put the ball over the bar to widen the deficit. Despite the five added minutes, the Tribesmen had enough in the tank to see off Clare, and earn the chance to defend their status as All Ireland Hurling Champions. The game finished with Galway winning 1-17 to 2-13, a point in it. Still, the highlight of the game was Clare's first goal from Shane O'Donnell. Enjoy it below.